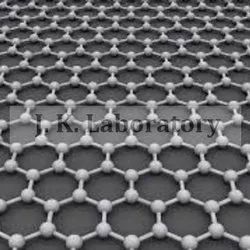 We Have Analysis/Testing The Unknown Identification Testing Services As Per Requirements Of Client With Humbly Satisfaction. All Types Of Material Testing Services Available In Our Laboratory. Vishtar Systems & Solutions is active in the area of NDT Product Sales & Inspection Services of Positive Material Identification Service. Leveraging on our huge industry understanding and skilled personnel, we are presenting outstanding Supplier Identification Services. Offered service is accredited for their promptness, flexibility and cost effectiveness. In addition to this, our privileged customers can acquire these services from us at pocket friendly rates. All kind of Film shooting set materials. -Fungi/Yeast Identification by 18s rRNA Sequencing @ Rs 3500/- per sample. -Algae/Plant Identification by 23s rRNA ITS Region Sequencing @ Rs 3500/- per sample. -Insect Identification by 26/28s rRNA D Region Sequencing @Rs 3750/- per sample. 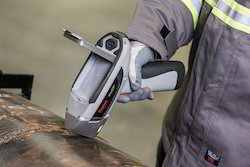 With rich industry experience, we are engaged in offering a vast collection of Positive Material Identification Services to our valued clients. The offered services are highly acknowledged across the market due to its attractive features. We are the first choice of patron because the entire collection of offered service is available in different types. Positive Material Identification Service is provided by us to patrons according to their requirements. Best quality of Material Identification Service is provided by us to customers as per their requirements. Get reliable and affordable cable identification service at reasonable cost. With the help of highly advanced equipments, our team of deft professionals identifies faulty cables from fault-free cables. The determination of origin of a gemstone is requires a lot of experience, master set of stones, references and state of the art technology. IGITL is providing origin identification services for ruby, sapphires and emerald.